Whether it’s product branding, package design or projects for ourselves, we’re pleased when we find a solution that’s very effective and creative, while keeping resources to a minimum. 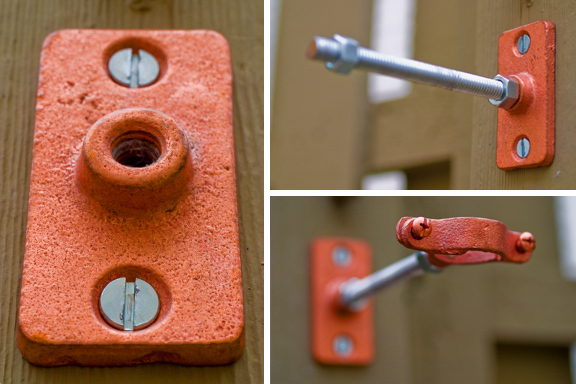 This idea is very inexpensive (around $5-bucks). 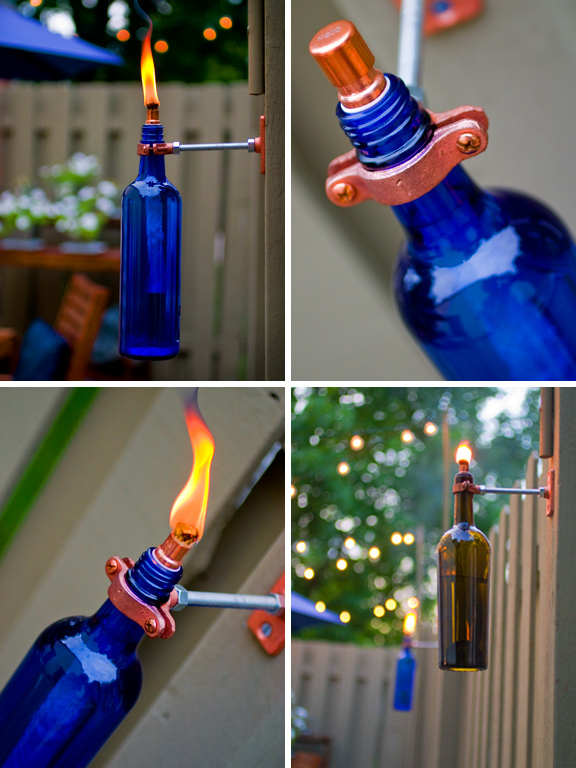 And it’s a great way to recycle a wine bottle. See how this simple idea inspired this brand and wine bottle design. Try it yourself. 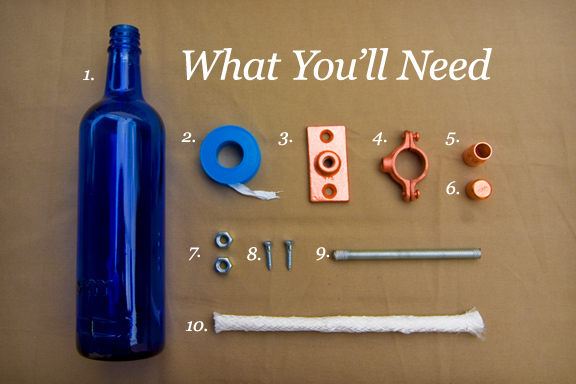 Here’s what you’ll need. 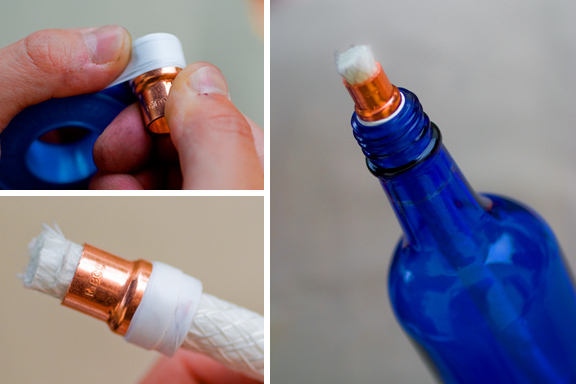 3 responses to "Recycled Wine Bottle Tiki Torch"
Hello--Thanks for posting about our easy DIY recycled wine bottle tiki torch featured on Design Sponge. I am asking that you please list a photo credit for the image you are using on your webpost back to its original source -- www.gerardotandco.com - Erik Anderson. This is a copyrighted photo. Since we are a marketing and design firm, it is important to us to link our work back to us. Also, the picture of the bottle called Torche is a sample of our package and campaign design (by Mark Gerardot) featured on our website and our portfolio of work to show our package design and marketing capabilities. Please provide an active link back to our website www.gerardotandco.com the original source of this picture. 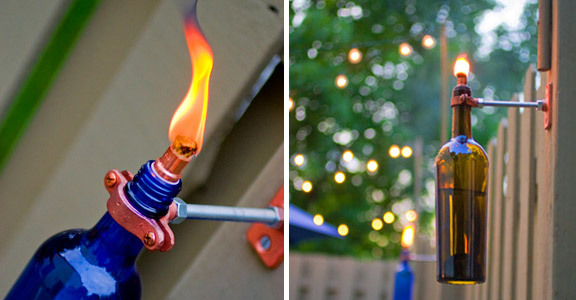 We provide a tutorial and list of items for making this tiki torch on our original post, which may be of interest to your readers. Otherwise, please switch out this picture for one you have taken yourself.